I want to apologize to anyone who tries to read this regularly, the last post was over a year ago, and really a lot has happened. I will do some event posts in the next little while, but I wanted to try an experiment. 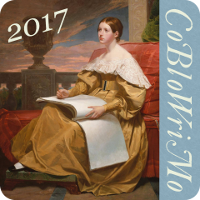 There is a Facebook group called the Costume Blog Writing Month, or CoBloWriMo for short, where they help inspire people to blog every day. This August is the first one I want to try. They provide blog post prompts for every day, and I am obviously terrible at the blog thing, so let's see if I can do it. As you can see I am already 4 days behind. Sigh. I come from a theatre back ground (I graduated from University with an Honours BA in Theatre) and have been interested in history forever. (Thank you Bedknobs and Broomsticks!) 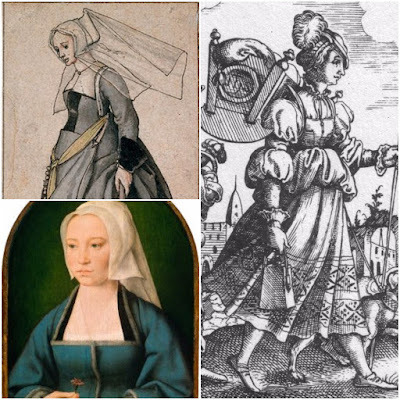 My main interests are the 16th century (within the SCA) and to be able to enjoy my other favourite costuming periods I started a Facebook group called Historical Costume Society of Eastern Ontario. Where we try and meet up in different period clothing to events, or museums or tea. Whatever strikes our fancy to get dressed up and do something with like-minded people. I love the 18th through to mid 20th-century clothing. So on this blog, it now tends to have a bit of everything. My main interests (besides clothing) is housewifery. What is that? Well, anything that has to do with what women did at home and for the family. That could be cooking, clothing, washing, weaving, dyeing, cheese making, gardening, etc. It gives me a lot to play with, but also a lot of different things to be distracted by. I find I mainly concentrate on the Tudor period for that stuff, and clothing for everything else. You can reach me here, on my Facebook page - Emelote's A&S Challenges, my Pinterest page for Emelote, and my Tudor cooking blog called The Tudor Kitchen. 1867 Plaid Dress (with all the trimmings). I have always wanted to do this period and Canada's 150th birthday was an excuse to come up with someone. BUT...this summer just hasn't worked out for me to work on it. I have all the fabric and patterns to do it, I just need to do it. I am hoping to have it done by the fall. 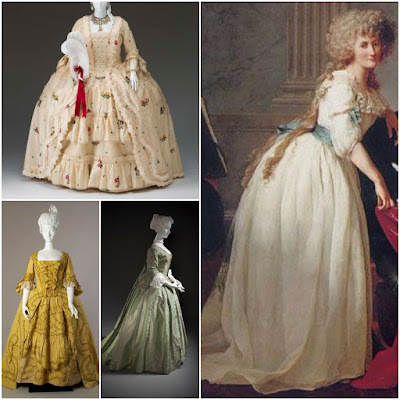 Here is my inspiration from All the Pretty Dresses blog. This is a wonderful transition gown, the change from the round silhouette of the early 1860s to the early bustle era. It was hard to decide what to do for an exact date, there are a lot of extant examples in the museums. The main question was, would Canada have had this dress you see in the Paris fashion plates at this time or would the style arrived later? I am choosing to go with as close to 1867 as I can manage, but, it was something I thought about. I need to make the corset, the elliptical cage, the petticoats and the gown with day bodice. Now, if I have enough fabric, I will make an evening bodice to go with it. Most of the gowns I have seen on museum sites are in silk taffeta, so mine in wool tartan will behave differently, but I am excited to try it. It should be perfect for the fall in Canada too. I will post more about this as I work on it. I also owe quite a few updates from last year. I plan on writing about my final 1740s gown, the 1790s white dress and a few domestic projects from this year. So stay tuned.